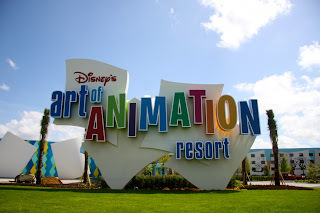 Are you as excited as I am for the Grand Opening of Disney's Art of Animation Resort on May 31, 2012??? Here are some interesting facts to get you ready! Its 27 acres of landscaping and irrigation is the equivalent of twenty football fields. With 227,000 lineal feet of carpet could stretch from downtown Orlando to Kennedy Space Center. Wow those are some crazy facts! 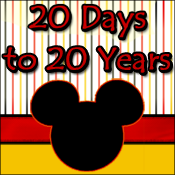 We can't wait for The Lion King rooms, we're all over it! I am beside myself just knowing there will be more family suites! Thanks for stopping by!